The Pie Hole has been open since 2011 and is considered the most ideal place to grab a bite to eat along with a cup of coffee due to its location right in the heart of the Arts District in Los Angeles. Another reason that The Pie Hole is such a success within the community is because of their menu that consists of custom pies and coffee. From a classic apple crumble to Mexican Chocolate, Maple Custard to Sweet Potato. The Pie Hole also features breakfast options, pot pies, and “hand pies”. The menu not only changes seasonally but it also rotates daily, so be sure to order all your favorite dishes while they’re still available. The Pie Hole serves their customers the freshest pies that are baked from scratch daily. The ingredients used for their pies, especially their fruit pies, come from local vendors and they serve whatever fruit is currently in season at the moment. The coffee that is served also comes from trusted local vendors and family-owned farms to provide the freshest beans for their customers. The Pie Hole even has their own blend of coffee that goes by the same name. The Pie Hole Blend is a delicious medium roast blend that tastes sweet with hints of dark chocolate, clementine, dried cherries, and leaves a sweet-yet-spicy aftertaste. The Pie Hole has many locations throughout California and has two locations in Tokyo, Japan. Their other California locations aside from the Arts District are; Hollywood, Pasadena, Orange County, Glendale, Rancho Cucamonga, Venice, and Long Beach. Their other two newest locations are in Tokyo, and within the Giza Six, that is also in Tokyo. The Arts District location of The Pie Hole is open on Mondays through Wednesdays from 8:00 am until 10:00 pm, Thursdays are from 8:00 am until 11:00 pm, Fridays are from 8:00 am until 12:30 am, Saturdays are from 9:00 am until 12:30 am, and Sundays are from 9:00 am until 11:00 pm. Their holiday hours differ slightly from the regular hours of operation; on Thanksgiving, they are usually open from 8:00 am until 1:00 pm, from 8:00 am until 5:00 pm on Christmas Eve (December twenty-fourth) and on New Year's Eve (December thirty-first), and they are closed on Christmas Day (December twenty-fifth) and New Year’s Day (January first). When you decide to stay with Rodeway Inn, Los Angeles, the happiness and comfort of the guest is their main concern, and they strive to make sure their rooms feel like a home away from home to their guests. Featured at the hotel is their lovely outdoor swimming pool, daily complimentary continental breakfast, concierge service, and much more. 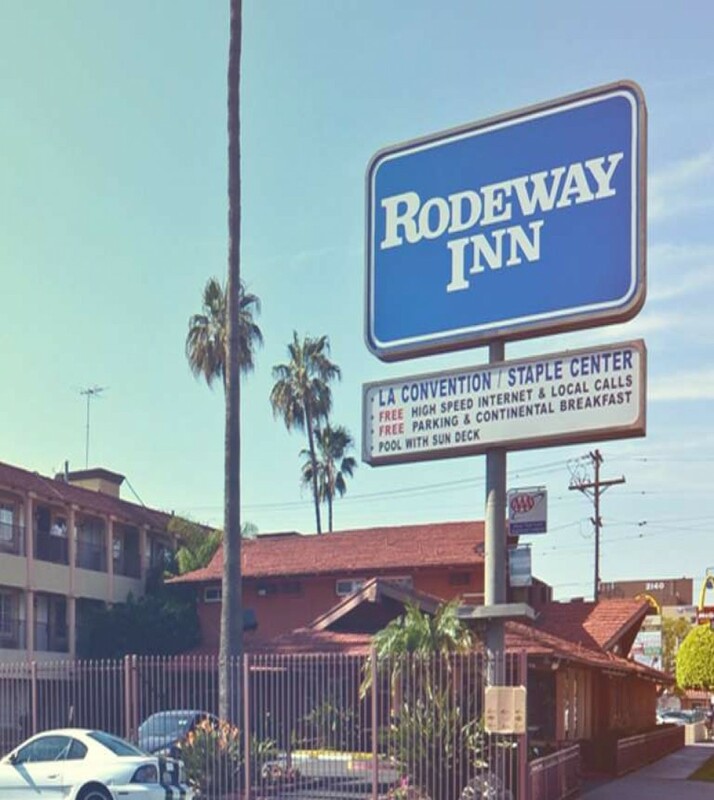 Rodeway Inn Los Angeles is located just a short eight-minute drive from The Pie Hole. Book your stay at Rodeway Inn Los Angeles today and find the best rates on rooms.